On Saturday, June 17, 2017, A Head of the Game became an official partner of MA Hockey. Through the unwavering effort and determination of A Head of the Game's Founder, Jeannine Donato, hundreds of youth athletes across Massachusetts have completed Baseline Testing and learned more about concussions. Recognized by MA Hockey with the Dr. Alan Ashare Safety Award, Jeannine joins Chis Nowinski (Concussion Legacy Foundation) as a recipient of this award. 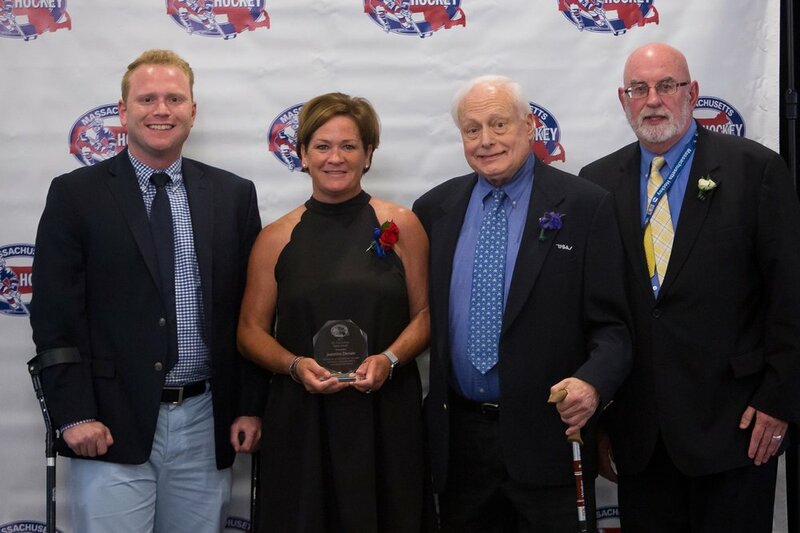 For more information on the award, and for a full recap of the MA Hockey Annual Hockey Meeting & Awards Ceremony, please click HERE.